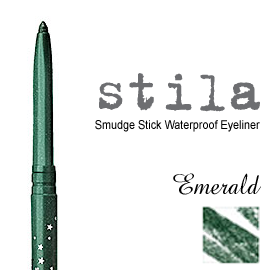 One of the three limited-edition shades in Stila's Color Outside the Lines kit. This is a brighter emerald, not super-bright but close. It applies very well, without skipping or clumping up. 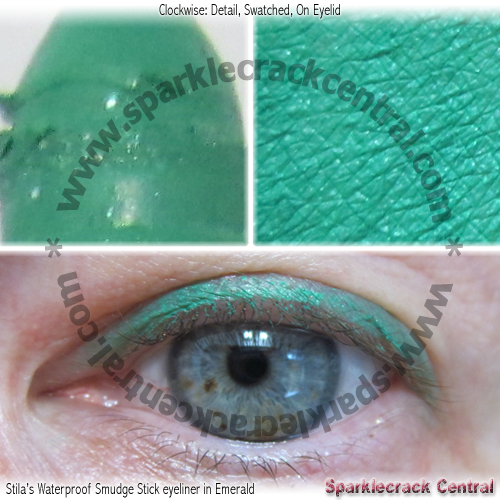 It isn't perhaps the very best color of green to use with my eyes, but I use it anyway - I love the shade!